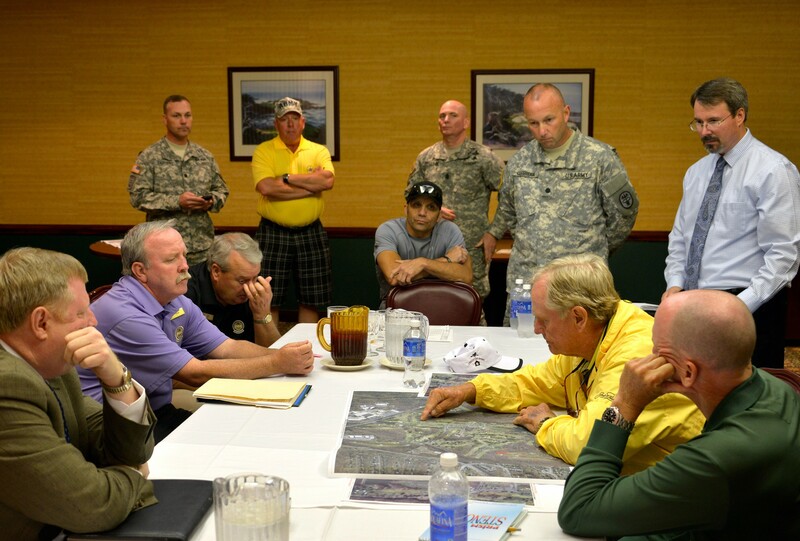 FORT BELVOIR, Va. (July 17, 2014) -- PGA head professional Steve Greiner credits the Army Morale, Welfare and Recreation Wounded Warrior Golf Program for helping keep golf on the map at this Northern Virginia post. Greiner participated in a series of high-profile events with President Barack Obama and legendary golfer Jack Nicklaus that reaffirmed his belief that accommodating injured veterans, women and junior players are essential keys to a successful future for military golf programs. Launched in 2008 to help injured troops overcome physical and psychological setbacks, the Fort Belvoir MWR Wounded Warrior Golf Program has received accolades from the commander in chief, as well as from Nicklaus, who is arguably the world's greatest golf champion. Greiner started Fort Belvoir's program before an Army hospital was built on the south post's nine-hole course. The 36-hole layout on the north post will be altered by construction of the National Museum of the United States Army. Greiner is determined to make the most of the situation, preferably by making one of the 18-hole courses better suited for adaptive and beginning golfers. It did not take long for Greiner, a Fort Belvoir MWR golf pro, to ask himself "if the post is becoming a leader in adaptive treatment, how about us becoming a leader in adaptive golf?" "There has been a lot of attention paid to this program since people have learned Jack Nicklaus actually came and visited the Fort Belvoir Golf Club," Greiner said. "We're talking a legend the magnitude of Babe Ruth or Pele. Jack Nicklaus is an American icon." Obama has played golf at Fort Belvoir frequently, and nine times he has visited Soldiers in the Fort Belvoir MWR Wounded Warrior Golf Program, said Greiner, who noted that 98 wounded warriors and their family members participated in the program during the spring of 2014 alone. All told, more than 600 wounded warriors have benefited from the program. On the morning of May 21, Nicklaus spoke to members of Congress to commemorate National Golf Day on Capitol Hill. That afternoon, he presided over the grand opening of his Potomac Shores Golf Club in Dumfries, Virginia, where Fort Belvoir MWR Wounded Warrior Golf Program participant Staff Sgt. Robbie Laux launched a ceremonial tee shot alongside Nicklaus. Greiner and his wife, Marty, along with Spc. Kevin Carman, Marine Corps Sgt. Brandon Hughes and 1st Sgt. Tony Henry and wife Teresa served as official greeters June 24, at the White House President's Cup reception, attended by Obama, Vice President Joe Biden, Speaker of the House John Boehner, golfers Tiger Woods and Phil Mickelson, among others. "It was a great opportunity to network with the players, their families, and leaders in the golf industry," said Greiner, who uses these opportunities to spread the word about adaptive golf. More than 40 professionals from the Mid-Atlantic PGA have been trained to work with the wounded warriors. Greiner started the program to help wounded Soldiers returning from Iraq and Afghanistan. With the addition of a new hospital, coupled with the Warrior Transition Battalion's move to Fort Belvoir, growth was inevitable. He hopes to parlay the recent attention into something bigger and better -- all the while working with the concept of "less is more." "We're going to redesign into a smaller footprint because of the new U.S. Army Museum," said Greiner, who envisions one course that appeals to beginners, veterans, women and wounded warriors -- a flatter, more open and shorter layout called the Warrior Course. "This could be really good for MWR and for our disabled veterans and wounded warriors. It gives an additional purpose to the MWR golf program that I think can prosper."